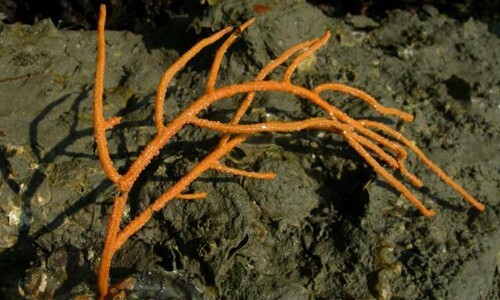 Common in shallow, rocky areas and near jetties and pilings, but can also be found in deeper waters over sandy or stony bottoms. They uses their tiny tube feet to move. Common sea stars have five pointed arms and hundreds of tiny tube feet on their pale undersides. They vary in color from yellowish-orange to deep purple, and have small, pale spines that give them a rough appearance. A bright red or orange "eye" spot appears in the center of its body. The common sea star eats snails, clams, oysters, mussels and barnacles. 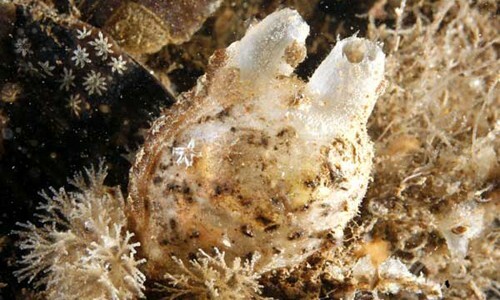 It feeds by latching its tube feet onto its prey’s shells, then prying the shells open just enough for the sea star to reach its stomach inside. Due to its tough, spiny skin, the common sea star has few predators. The sea star spawns by releasing eggs and sperm into the water, where the eggs are fertilized. 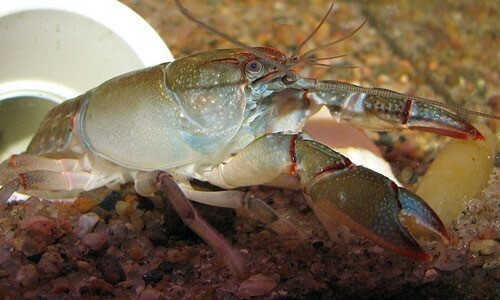 Females can release up to 2.5 million eggs. Fertilized eggs develop into free-swimming larvae. After about three weeks, the larvae settle and morph into adults. Sea stars are more commonly referred to as starfish. They are related to sea cucumbers: both are echinoderms, which means “spiny-skinned.” All echinoderms have five-part radial symmetry. An active sea star can travel one mile in about a week. If a sea star loses an arm, it can quickly grow a new one. Sometimes it overcompensates and grows an extra arm or two. This is why sea stars with six or more arms are occasionally found.